Laminating Rollers | Hot Roll Laminator | Black Bros. 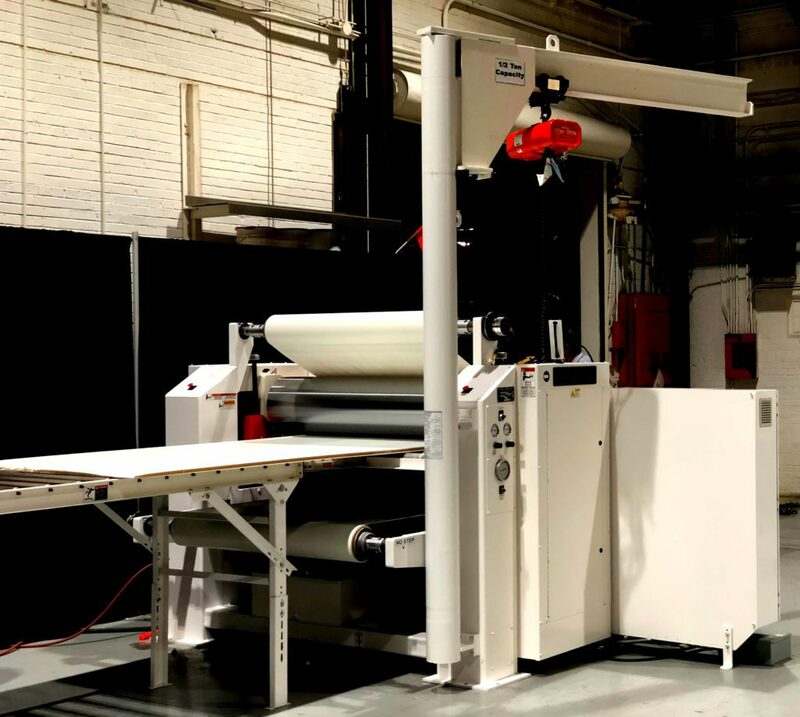 The Black Bros. TB-60 hot roll laminator is a cost-efficient paper and foil laminating process -whether you run 24 hours a month or 24 hours a day. The complete hot roll laminator system fits in a compact space and comes fully assembled and ready to start making product. Simply locate on your production floor and connect the air and power utilities. The versatility, high quality and reliability of the TB-60 hot roll laminator is the same as those built into all Black Bros. equipment with 125 years of laminating experience. Integrated oil heater provides thermal fluid to heat the (2) 13.8″ O.D. chrome plated combining rolls. Adjustable heavy duty hydraulic cylinders ensures uniform pressure to provide quality lamination. Built in unwind stands position, the paper or melamine to wrap the rolls pre heating the overlay, prior to lamination. Loading the overlay is facilitated using a side mounted Jib Crane.